Contrary to the repeated assertion in the media that a stroke of luck, or an accident placed Juan Guaidó Márquez at the very heart of the events in Venezuela – this article wishes to debunk rumors and highlight how over a decade of admirable discipline and hard work brought a 35-year-old man to be the centerpiece of Venezuela’s transformation. Juan Guaidó Márquez comes from a united family with strong ties to their roman catholic faith. Family unity and values, play an important role in how Guaidó Márquez carries himself. The portrait published on the front page of the daily ABC on Sunday, February 3rd featured Guaidó Márquez tilting his head in front of his mother, who kisses him on the forehead while she squeezes the rosary she holds in her right hand. This is not the result of a political communication strategy: it is a true example of a Venezuelan family. From this substratum comes a key element in his public personality: Guaidó Márquez avoids conflict, he’s a person who prefers to appease and dialogue. Fabiana Rosales, his wife, is an activist for the Voluntad Popular party, a journalist, and human rights activist. She is also Catholic. Together, the couple have a daughter, two-year-old Maria Eugenia Guaidó Rosales. One of the essential traits of Guaidó Márquez’s character is his persistence: he progresses one objective at a time. He reaches one and continues to the next. He’s methodical and concentrated. He’s undistracted. Guaidó is gifted with strong traits for planning, following up on tasks, and overcoming goals. His wife, Fabiana Rosales and her way of being also contribute to his character. Guaidó Márquez avoids conflict, among other things, because he never loses his true north. He concentrates his efforts on intention and is wary of how he spends his time. One last element that deserves to be included in this preamble is the fact that Guaidó Márquez lived in the Corapal urbanization in the State of Vargas, until the age of 15. Adjacent to the city of Caracas, Vargas State is a densely populated small coastal strip of almost 1,500 square kilometers. It’s where the Simón Bolívar airport (the most important in Venezuela) and Port of La Guaria are located (fundamental due to its proximity from the capital and the volume of goods it receives). Historically, Vargas State has been one of Venezuela’s poorest urban regions. Between 1984 and 1999, when Guaidó Márquez lived in the area, poverty levels in the region reached 65%. Because of its geographical configuration, those who live in, or transit through Vargas must always encounter the realities of poverty. Middle class urbanizations in Venezuela are neighborhoods where life is full of difficulties. For a person so observant and attentive to public affairs, the closeness and coexistence with poverty in Vargas is inevitable. Guaidó was a child who showed interest in what was happening around him from a very early age – his surroundings did not go unnoticed and marked his political sensitivity. Moreover, they were a factor that shaped his social disposition, his substantive disposition, and his solidarity towards those around him. His discipline and sense of persistence; his family world, affectionately and axially crossed by the Catholic faith; his vocation for coexistence and agreements; his concentrated mind for the fulfillment of purposes; and a social vision for public space, are some of the pillars with which engineer Guaidó Márquez addresses politics: a perspective that oscillates, in ideological terms, between that of a social democracy and a moderate progressivism. Juan Gerardo Guaidó Márquez was born in La Guaira (Vargas State) on July 28, 1983. He is the eldest son of Norka Márquez (infant teacher) and Wilmer Guaidó (commercial pilot). His two grandparents were in the military. After they divorced, both parents remarried and had other children. Norka Márquez has two sons and lives in Caracas. Wilmer Guaidó lives in Santa Cruz de Tenerife (Spain): he has a son who lives in England, and two daughters who live with him. Their families maintain recurrent and affective relationships. Guaidó graduated from Instituto Los Corales, a small private school near his home. He was a sensible and affectionate child and teenager. In 1999, he and his family managed to survive the Disaster of Vargas (the Tragedy or Disaster of Vargas is the mud and water avalanche known to have caused the highest number of casualties; it occurred between January 15 and 16, 1999. So far, it has been impossible to determine the number of victims, it is estimated that around 10,000 people died, and another 40,000 were affected). A few days later, a helicopter rescued the family, who had to move to Caracas for some time. Months later, in July 2000, Guaidó Márquez obtained the degree that allowed him to begin his university studies. He studied Industrial Engineering at the Universidad Católica Andrés Bello -UCAB-, in Caracas, run by the Compañía de Jesús. To make this possible, he received financial aid from one of his uncles. Among his activities during those years, his experience as an athlete and as a member of the Engineering Student Center stand out. In 2007 he obtained a degree as an Industrial Engineer. He then did two postgraduate degrees, both in public management: one at the Institute for Advanced Studies in Management (IESA), and the other at UCAB/George Washington University. In 2007, when Hugo Chávez’s government announced the closure of Radio Caracas Television, a powerful movement led by university students took to the streets to protest, beginning on May 27th. Guaidó Márquez joined this movement alongside others who would later join the Popular Will political party, such as David Smolansky, Freddy Guevara or Lester Toledo. Guaidó Márquez is one of the outstanding members of the “2007 Generation”. He has not been trained as an expert in political theories, his exercise of politics is based on daily and concrete doings and a desire to regain a statute of freedom for Venezuela. He toured Venezuela between 2008 and 2009 when Leopoldo López organized and led a group that traveled around the country, carrying out dialogues and consultations with the civil society. In this instructive and exhaustive activity, Guaidó Máquez showed his enormous organizational capacities and a special facility for establishing exchanges, loaded with proximity and empathy, with people of different ages, activities, professions, and political attitudes. In 2009, Juan Guaidó became a part of the founding group of Voluntad Popular. He was coordinator for the State of Vargas and was also responsible for national organization. From this moment, Guaidó began a trajectory of growing achievements. He made important contributions to equip Voluuntad Popular with methods and procedures for success. He participated in protests, rallies and public actions. He’s been beaten up by a group of ten soldiers, has received a discharge of pellets, had his arm broken once, and has participated in a hunger strike. If one were to glance over an archive of Venezuelan newspapers that covered a protest, odds are, Guaidó is on the cover page. He is simultaneously a man of action, and a partisan organizer. He joined the National Assembly as an alternate deputy for the State of Vargas during the 2011-2016 period. Despite negative polls and forecasts, he won the elections of his circuit and returned to the parliament as a main deputy for the current period (2016-2021). His promotion sheet is remarkable: vice-president of the Domestic Policy Commission (2016); president of the Permanent Comptrollership Commission (2017) – he was in charge of leading the investigation for the Odebrecht case; head of the Parliamentary Fraction of Popular Will (2017) and head of the Democratic Parliamentary Fraction – the opposition majority – (2018). The deputies from the rest of the opposition factions, recognize Guaidó as a hard-working, respectful, cordial leader, despite their rivalries. They see him as a man who is always open to dialogue and consensus. On January 5th, 2019, Juan Guaidó Márquez assumed the presidency of the National Assembly. Then, on January 23rd, and based on articles 233, 333 and 350 of the current Constitution, Guaidó Márquez assumed the powers of the Executive Branch in his capacity as president of the National Assembly. Guaidó Márquez is a party man. To a large extent, his public interventions reflect the content seen in the Popular Will’s guidelines. But, at the same time, he is a man who makes use of his autonomy. In the dozens of interviews he’s had since January 5th, he’s shown comfort when responding to complex, unexpected or dilemmatic questions, in addition to a clear position on the Venezuelan situation -which has a partisan foundation-, flexibility i.e., He always radiates the sensation of being ready for the next challenge. If we analyze Guaidó Márquez’s speeches, as well as the long interviews he’s given to Venezuelan and international media, the coherence of his thinking is surprising. The positions of Popular Will are intertwined with stories of his own experiences. Guaidó Márquez speaks of small and pressing realities: of hunger, of queues, of deaths due to illness and repression, of the pain of the survivors. He doesn’t hide the fact that he comes from a humble family that has struggled. To achieve the cessation of the usurpation of power in Venezuela. In other words, the objective is to end of the current government and the Maduro regime. Set in motion a transitional government. The first appointments of ambassadors and representatives is significant, because it includes people linked to opposition parties with representations in the National Assembly. To call free and fair elections, as soon as possible, given that, as a sine qua non requirement, new authorities must be appointed in the National Electoral Council. Everyone needs to work together to achieve political transition, which is why he has included “officialists” who accept that the regime has collapsed, in his calling. His message is inclusive. He praises the work of the opponents, but also mentiones the mistakes made by the National Assembly itself. On January 5th, he said that the National Assembly should be a body that articulates all political and ideological sectors of the country. “It’s not about twisting anyone’s arm” he said. He has signed an Amnesty Law aimed at the military and civilians, which will benefit those who decide to join the democratic effort, while rejecting Maduro’s offer of dialogue, like the one made by countries such as Mexico and Uruguay. He has denounced the use of dialogue by the current government as a trap to gain time and prolong the agony of Venezuelan society. His most insistent and urgent appeal is obtaining humanitarian aid. Guaidó states it as the main contribution that other countries can send to help Venezuela. His accusation of the Maduro regime focuses on the impoverishment of Venezuelan families, human rights violations and the destruction of the rule of law, with a special emphasis on the illegal and fraudulent creation of the National Constituent Assembly. Guaidó Márquez is insistent on denouncing the illegitimacy of the government and of the regime. Regarding the military, he has said something very important: Since Maduro is illegitimate, the chain of command is broken at its highest level. His interventions have a characteristic: they leave a constructive and positive sentiment. He doesn’t just state them. He communicates optimism and the conviction that it is possible to achieve his three stated purposes (end of the regime, transitional government, free elections). In short: Guaidó Márquez is, ideologically, a social democrat, with a vision of politics as a social and inclusive exercise. He is a man, who does not avoid risks – sometimes physical ones – derived from his public activity. He has reiterated his call to all sectors of society, including entrepreneurs, to join the transition and reconstruction of the country. What Guaidó Márquez has in front of him is an increasingly broad and active movement of Venezuelan society. This is the framework with which he has ratified his call to the military to join the construction of a new democracy. If everything continues as it is, it is highly probable that Juan Guaidó Márquez will have the privilege of announcing free elections in Venezuela for August or September of 2019. She has more than twenty-five years of experience in Communication and Corporate Affairs for some of the largest companies in Latin America, such as PDVSA and Organización Cisneros. In the last four years, Antonieta has carried out intense work in the defense of the human rights of political prisoners in Venezuela. 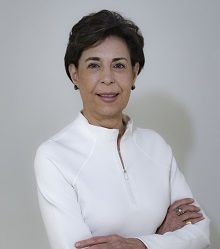 She is also founder of the Venezuelan chapter of the International Women’s Forum, and a member of the Board of Directors of the Eugenio Mendoza Foundation. She is also a member of the Venamcham Media Committee, the Venezuelan American Chamber of Commerce and Industry. 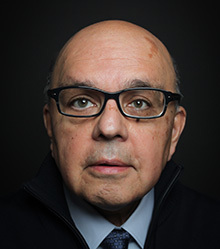 Nelson Rivera has combined his work in the fields of cultural journalism and strategic communication consulting. For more than three decades, he has acted as a consultant to more than 150 companies in the areas of image, reputation and crisis management, mainly in Venezuela, but also in countries such as Colombia, Panama, the Dominican Republic and Bolivia. He is a founding member of the Editorial Board of El Nacional Newspaper (1993), in Venezuela. In addition, since 1995 he has been director of Papel Literario, the oldest cultural publication in Latin America, which has been circulating since 1943 as part of the aforementioned Diario El Nacional. He is the author several essays, El cíclope totalitario (Random House Mondadori, 2009) and editor of two volumes of the series Pensar la transición (Universidad Católica Andrés Bello, 2017 and 2018). Since 2005 he has maintained a weekly column specializing in books on thought, history, sociology and social psychology.